Ellen Page, Robert Sheehan, Tom Hopper, David Castañeda, Aidan Gallagher, and Emmy Raver-Lampman in The Umbrella Academy (2019) Courtesy of IMDb. An official teaser trailer has been released for The Umbrella Academy, a new Netflix series that is set to air in 2019. The Umbrella Academy is based on the award-winning comic book series of the same name, which was created and written by Gerard Way (My Chemical Romance). The comic book series, which was initially released in 2007, was recently revived this past October after a 5 year hiatus. There are 15 issues, which can be purchased in digital form directly from the publisher (Dark Horse Comics) or in physical form from any comic book store. The show is being written by Jeremy Slater (Fantastic Four) and developed by Steve Blackman (Fargo, Altered Carbon). Gerard Way is an executive producer, so fans can rest assured that the original creator is very much involved in the adaption. 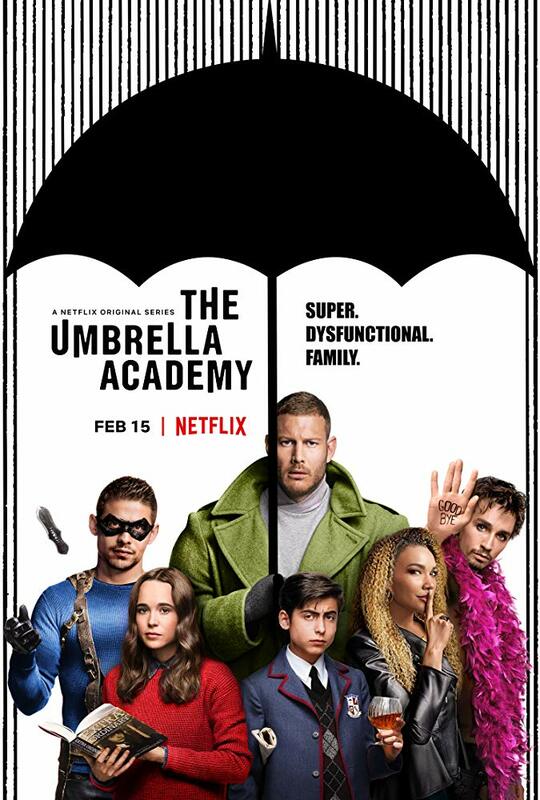 The Umbrella Academy is set to premiere on Netflix on Feb. 15.